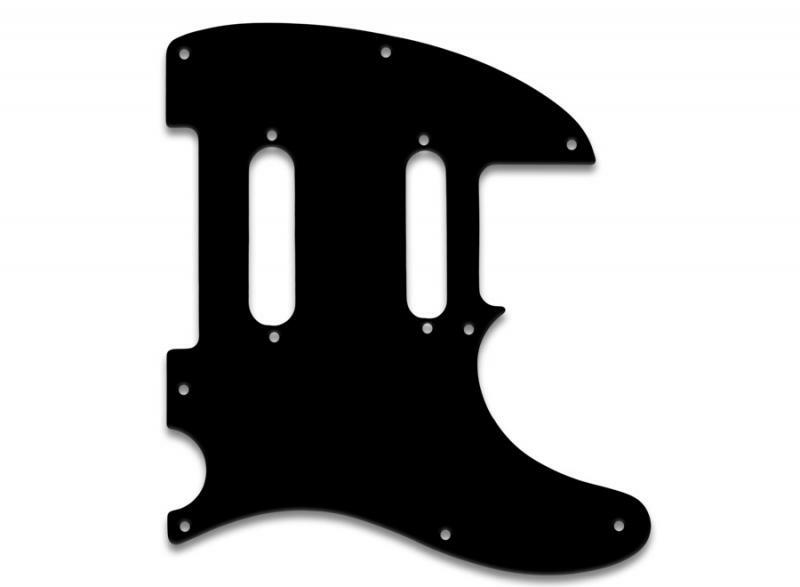 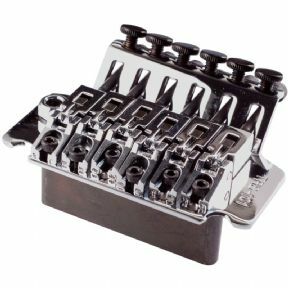 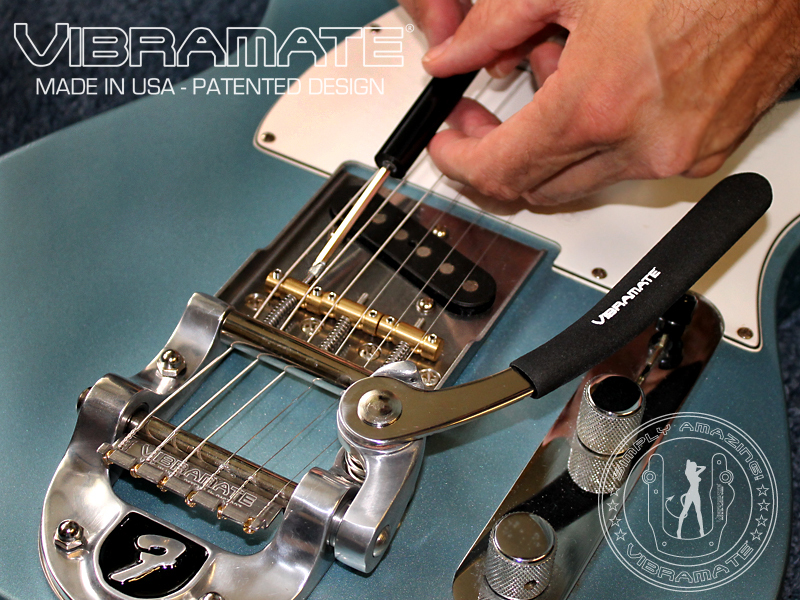 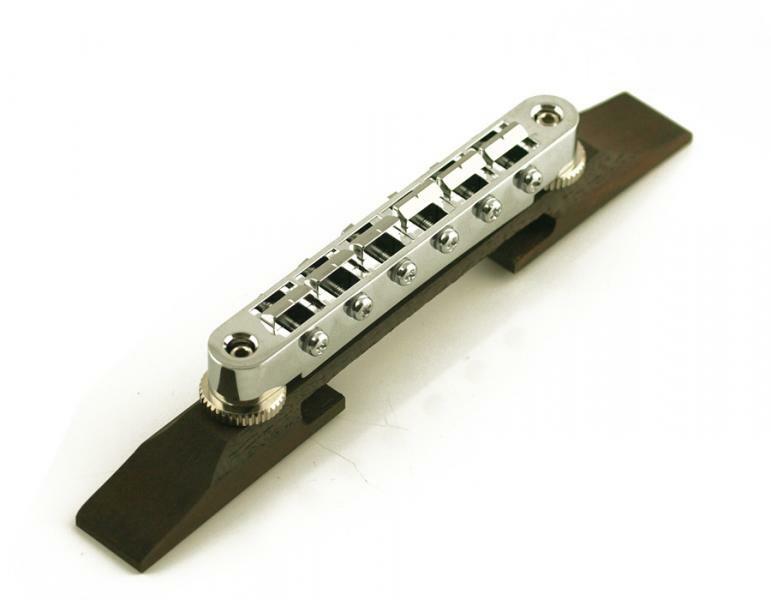 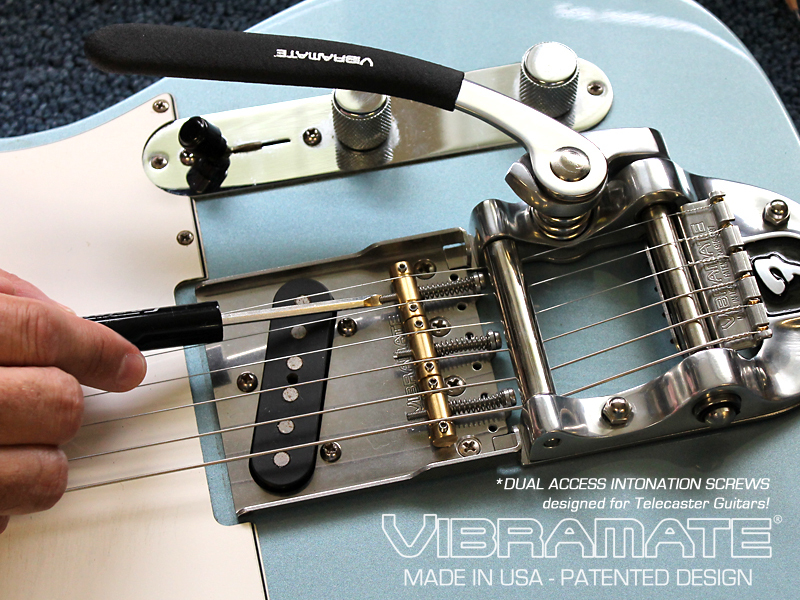 Vibramate V5-TE Slotted Bridge Saddle Set for Telecaster Guitars are designed to work with the Vibramate V5-TE Series Mounting kits and Bigsby vibratos. 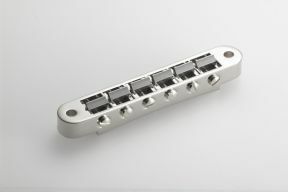 Each set is custom-slotted utilizing the traditional 3-saddle "ash-tray" configuration and are designed to properly align the strings with the guitar neck of a Telecaster Guitar. 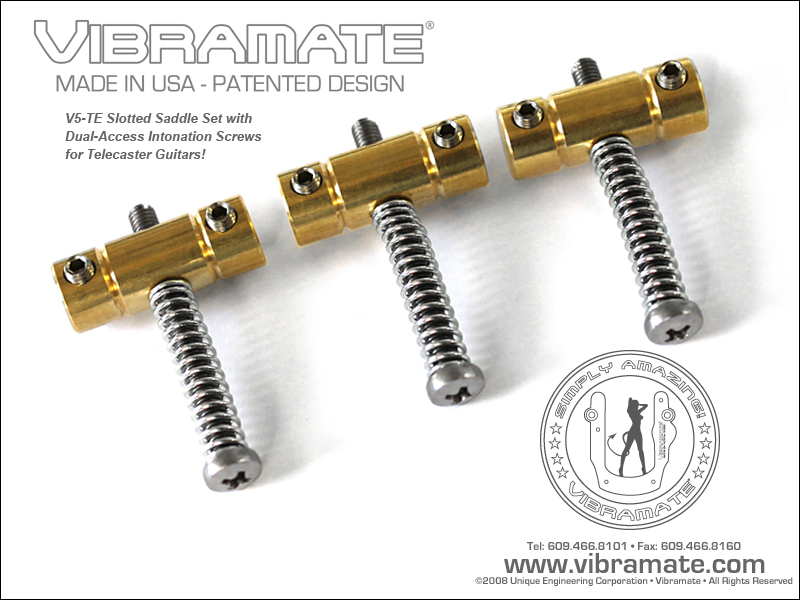 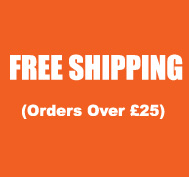 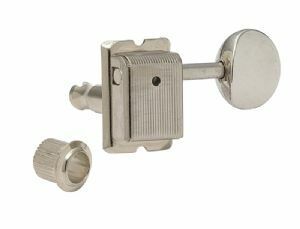 The vintage style saddles are made in the USA and feature all Stainless Steel mounting screws and compression springs. 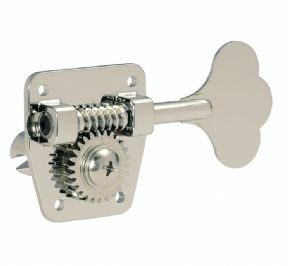 Set comes complete with 3 Saddles, Adjustment Set Screws and Compression Springs.